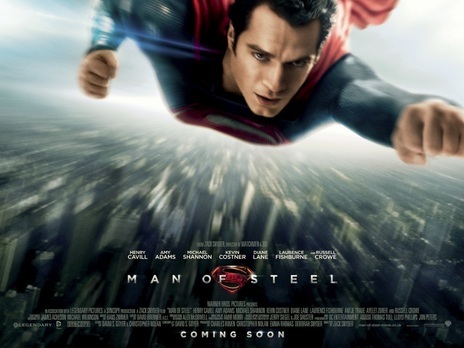 10 Things You Might Not Know About MAN OF STEEL | Warped Factor - Words in the Key of Geek. Geek Dave will give the people of Earth an ideal to strive towards. 1. Disappointed with the performance of Superman Returns, in June 2008, two years after it's release, Warner Bros. began taking pitches from comic book writers, screenwriters and directors on how to successfully restart the Superman film series. "I told them, it’s not that bad. Just treat Superman Returns as the Ang Lee Hulk. The Incredible Hulk has proven the audience will forgive you and let you redo the franchise." Mark Millar, teaming with director Matthew Vaughn, pitched an epic eight-hour Superman trilogy, each installment released a year apart, similar to The Lord of the Rings. Millar compared it to the Godfather trilogy, in which it would chronicle the entire life of Superman, from the early days of Krypton to the finale where Superman loses his powers as the Sun starts to supernova. "He basically told me, 'I have this thought about how you would approach Superman', I immediately got it, loved it and thought: That is a way of approaching the story I’ve never seen before that makes it incredibly exciting. I wanted to get Emma Thomas and I involved in shepherding the project right away and getting it to the studio and getting it going in an exciting way." In August 2008 Warner Bros. hired Nolan to produce and Goyer to write, but it would be two years before production on the movie really began in earnest. 2. The search was on for a director for Superman's new big screen adventure. Guillermo del Toro, with whom Goyer worked with on Blade II, turned down the director's position on the reboot because of his commitment on a film adaptation of At the Mountains of Madness, while Robert Zemeckis was also approached. Ben Affleck, Darren Aronofsky, Duncan Jones, Jonathan Liebesman, Matt Reeves, and Tony Scott were considered as potential directors, before Zack Snyder was hired in October 2010. 3. Henry Cavill had long been associated with the character of Superman, having been attached to the abandoned Superman: Flyby movie and considered for the role in Superman Returns. Before he became the first British and non-American actor to play Superman on screen (discounting Lee Quigley who played baby Kal-El in Superman: The Movie), Matthew Goode, Armie Hammer, Matt Bomer, Zac Efron and Colin O'Donoghue were al considered for the lead, as was Joe Manganiello who was a favourite among many studio executives, but he could not work out an audition date for the casting director due to scheduling obligations with True Blood. 4. Cavill embarked on a special four-month training regimen by his trainer Mark Twight to get the appropriate physique for his role as Kal-El. He gained weight by drinking 5 1000-calorie protein shakes a day, then he did cardiovascular workouts to burn away the fat and build muscle, and finally he underwent a grueling two-hour workout to build up his muscles and abdomen. Cavill followed this with an extremely difficult calorie restriction diet and training regimen that cut his calorie intake from 5000 to near 1500 for 6 weeks. After 6 weeks he reached a body fat level of just 7%, which is the level achieved by professional body-builders during competitions. Cavill revealed this was done because he wanted to make his abs as pronounced and his muscles as defined as humanly possible to create the best possible Superman physique, and felt his effort was rewarded when audiences and critics alike praised his physique for the true embodiment of what Superman would look like. 5. 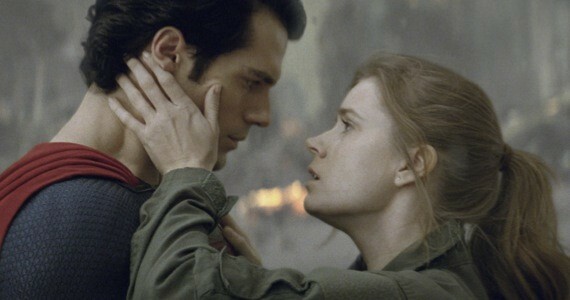 Amy Adams was selected for Lois Lane from a list of actresses that included Olivia Wilde and Mila Kunis, and much like Cavill Adams had long been close to playing the role as she had auditioned for the unproduced Superman: Flyby, as well as for Superman Returns before finally landing the role. 6. Other alternate casting includes; Sean Penn and Clive Owen who were considered for the role of Jor-El, the biological father of Superman, before Russell Crowe was offered the part. Viggo Mortensen was considered for the role of General Zod, and Gal Gadot was offered the role of Faora Hu-Ul, Zod's sub-commander, but declined the part as she was pregnant at that time. 7. David S. Goyer revealed that a scene was filmed where Jonathan and Martha Kent took the baby Kal-El to a pediatrician to have a hearing test on him. In it the baby screams and blows out all the windows. 8. 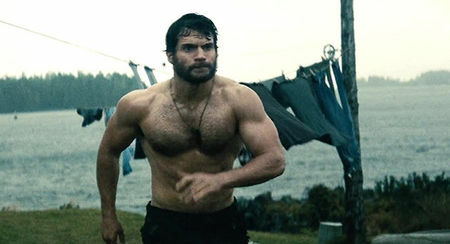 All the training Cavill had done to get in shape was put to good use when director Zack Snyder told the star that he really wanted to include a shirtless scene in the film. His reasoning being that you see Superman in a form-fitting body suit where he appears extremely muscular and the audience would likely think it was all rubber muscles if they didn't show them it was indeed Cavill's body in that suit and that it was all real. Cavill has a naturally hairy chest, which was not something Warner Bros. initially felt was appropriate for the character and asked him to shave it off. Cavill insisted it stayed untouched for the shoot of the movie, and rejected the notion that just because you are muscular, you should not have chest hair and cited the Superman comic book The Death Of Superman as being an iconic representation in which Superman had a hairy chest. Snyder agreed and backed the star. After he had shot his shirtless scenes, director Snyder gave Cavill a tub of ice cream and pizza to reward him for his months of training. 9. Among the many Easter eggs hidden in Man of Steel, hinting towards a larger DC Cinematic Universe are; a double tanker truck passing by in the background of an early Smallville scene which bears the Lexcorp brand name. Also, later in the film a building in Metropolis bears the name as well. This is the company run by Superman's arch rival, Lex Luthor. 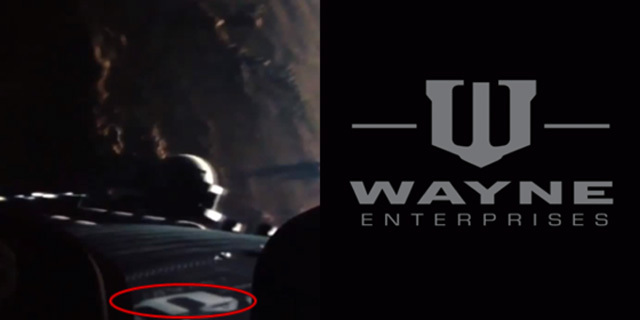 In the final fight scene between General Zod and Superman, Bruce Wayne's company logo, Wayne Enterprises, can be briefly seen on the satellite that is destroyed during combat. When Superman and Zod charge each other at the skyscraper, a sign for Blaze Comics can be spotted. This was a fictional publishing company that the DC Comics hero Booster Gold hired to tell his tales. The derelict Krypton scout ship that Clark finds frozen includes an open pod. It was revealed in a promotional comic book that the ship was once occupied by Clark's cousin Kara Zor-el, better known as Supergirl, possibly indicating her appearance in a forthcoming DC Comics movie? 10. Prior to Man Of Steel's release it was rumoured that Christopher Reeve would make a posthumous appearance somewhere in the film. In June 2014 an eagle-eyed Redditor believed they found the late Superman actor, who had died in 2004 of heart failure nearly a decade after being paralysed from the shoulders down in a horse riding accident. 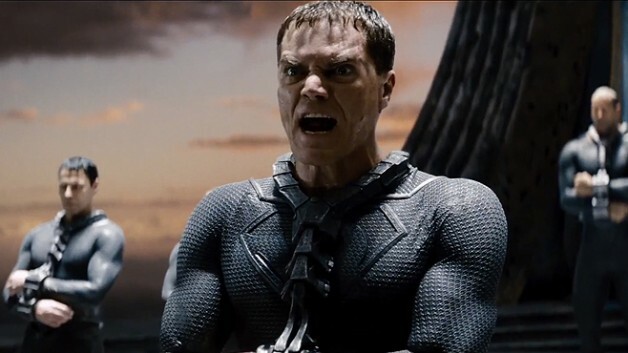 Reeve's CGI appearance, or non-appearance, has never been confirmed, but even if it's not Reeve there is at least one Kal-El actor from Superman: The Movie featured in Man of Steel. Aaron Smolinski, who played baby Kal-El found by Jonathan and Martha Kent in the 1978 film, has a small cameo as a Communications Officer.